Just after the events of Star Trek Generations, on the planet Veridian III, ambassador Spock comes to the humble cairn, or stones, that marks the grave of James Kirk. But he is not granted time to ponder the passing of his best friend. The Borg and the Romulan Empire have a use for Kirk, and with some mysterious alien science they resurrect the fallen captain, who they hope will give them the edge they need to destroy their greatest enemy, Jean-Luc Picard. It will take the combined powers of both generations, from Spock and McCoy to Data and Riker, to meet this almost unthinkable new threat. 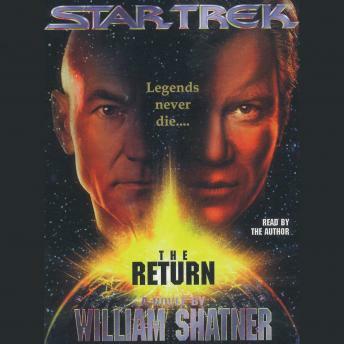 Star Trek: The Return brings tos and tng together in a good relation to the timeline after the events of the movie generations and is a good book in my opinion.